Here are our famous ‘Meaningful’ rings made from the same bar of gold. 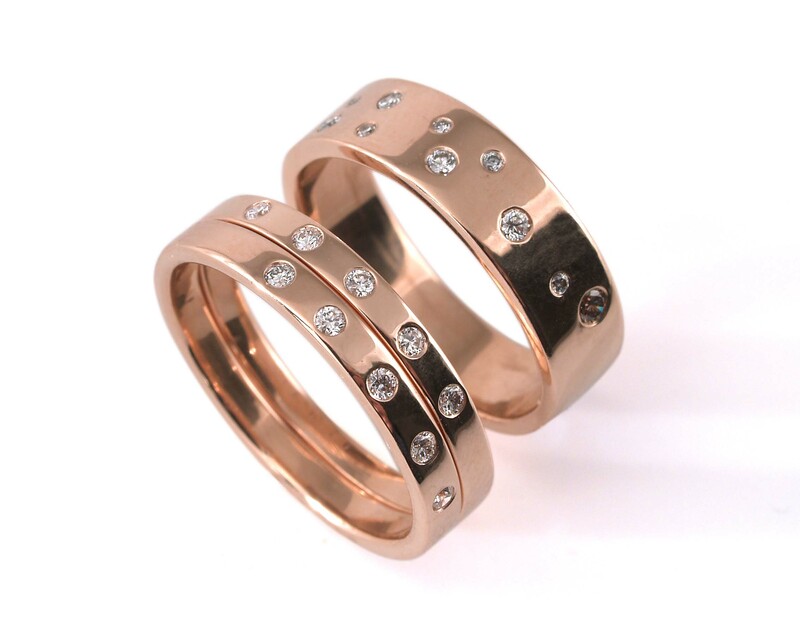 Here we have 1, 6mm rose gold band which is then cut into the partner’s 2, 3mm rose gold bands. 5 flush set G/H SI1 quality diamonds adorn each 3mm band. These are hand set in our studio. The 6mm wide band has 10, various size G/H SI1 quality diamonds flush set and 1, gorgeous 2.75mm round cognac flush set diamond for a special accent! The price is all 3 rings!